The world is interconnected. We’re living a world of never-ending messages, videos, photos, music and so much more, and all of these features are available every moment of every day at the touch of a device. It seems like every week, something new and exciting appears on the market or in our very own hands on our smartphones. Even when we log out of our digital lives – those rare moments when we put our phones away or shut down work computers – we step into a world that has been built, enhanced and truly revolutionized by innovations and creative solutions that continue to evolve. Drawing Inspiration from… Rock Concerts? I was recently speaking with our own André Charette, Designer- AV Sales Engineer, who strives to approach today’s world of seemingly endless creative possibilities with an open mind. On a daily basis, he communicates with clients about their needs and expectations for conference room and boardroom designs. But even after he goes home for the day, André continues to gather inspiration. When I spoke with him, André had just been to a concert, and told me how he brings the experiences he had at the concert into his work. 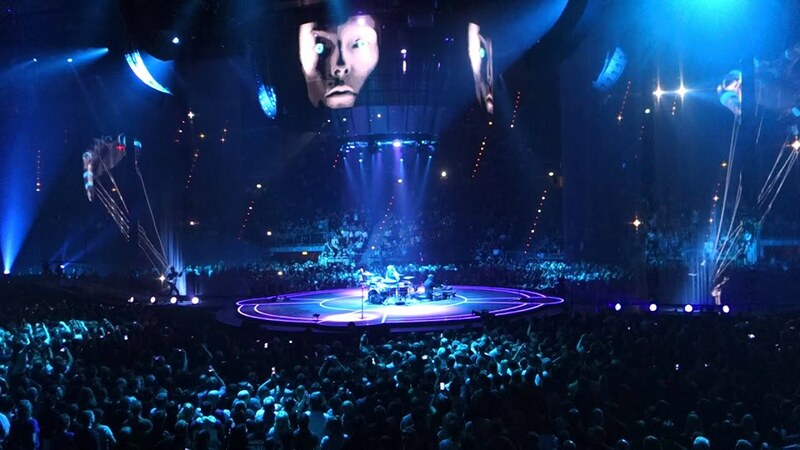 “[The concert] had a light show using drones,” he explained, and then went on to talk about how everything in the concert, from the audiovisual displays to the light shows and other special effects during the music show was innovative, technically rich, skillful and, as a designer, inspiring to his own daily work at CBCI. Even though the technology we work with at CBCI is slightly toned down compared to a rock concert –more fitting for the corporate environments our customers require – André is not the only technical mind who gets inspired by the plethora of innovations, ideas and creativity that he sees from other fields. André says that in any technology-related work today – from designing conference rooms to figuring out light shows for rock concerts – the competition is on to find the latest, greatest, next innovation. From interior design to special effects in film, everyone wants to come up with a technology that the public doesn’t know they want until they have it. So how does the mastermind behind the special effects in a concert influence a designer at CBCI? Creative innovations designed for the light shows or visual displays at live performances can directly benefit the technology that is developed for everyday use in offices. Some examples include better and more immersive visual displays, clearer audio technology, and more user-friendly devices. Interestingly, it’s not just professionals making these cutting-edge breakthroughs: many “amateur” enthusiasts are taking technology into their own hands. Microsoft held a competition open to the public for the best modified webcam, inviting casual programmers and camera enthusiasts to come up with creative solutions to challenges they found. Their developments and creativity led to breakthroughs in webcam technology – including the technology that CBCI offers its customers today. How does one handle this onslaught of possibilities? André says it’s up to professionals like himself to take these kinds of innovations and inspiration from “outside” their field and apply it to the needs of CBCI’s customers. In other words, CBCI is a bridge between the wild and creative ideas in many fields and industries and their practical applications in offices or meeting spaces. Although there are a lot of exciting technologies to choose from, CBCI also realizes customers are investing time, money and effort into their work environments, and want solutions that will withstand the test of time. To meet that need, CBCI does research on ideas and technologies and carefully vets and tests the technology before offering it to customers. For a look at other technologies that may come, check out Corning’s video, A Day Made of Glass . And as always, don’t forget to share your wish list with CBCI… we might be able to match you with the innovative solutions you only previously imagined. Contact Us!